Delivery Hero, the Germany-headquartered global food delivery company, that owns different food delivery brands in the Middle East & North Africa, has terminated the entire leadership team of one of its Saudi food delivery companies HungerStation for unknown reasons, three people with the knowledge of matter have told MENAbytes. The terminations that include HungerStation’s co-founder and CEO Ebrahim Al-Jassim, co-founder and CTO Hossein Bukhamseen, CFO Sameh Hassan and CPO (Chief Product Officer) Mishal Alshuwaikhat, were announced in an email sent by Delivery Hero’s co-founder and CEO Niklas Östberg to HungerStation’s staff. “Firstly, let me say that what you have built in this company over the past years is amazing. We firmly believe in HungerStation as a brand and as a company and food delivery as an industry. There’s tremendous room for further growth and we look forward to building on that together. However, yesterday we have decided to terminate the employment of the CEO (Ebrahim Al-Jassim), CFO (Sameh Hassan), CTO (Hussain BuKhamsim) and CPO (Mishal Alshwaikhat),” reads the email, seen by MENAbytes. The email further instructed the staff to cooperate in running the business and follow instructions of the new leader or anyone appointed by him. “Furthermore, we expect any instructions by the employees whose employment was terminated today not to be followed anymore. Should we identify any violations of the above, we will have to take corresponding legal action,” it added. HungerStation was acquired by Rocket Internet’s Hellofood (Foodpanda) in August 2016 for an undisclosed sum. Later that year, Foodpanda was sold to Delivery Hero and eventually Hellofood’s brand was absorbed by HungerStation in Saudi. The co-founders had stayed with the company and continued to run it independently, until Tuesday. Saudi is one of the biggest markets for Delivery Hero in MENA & Turkey, the region that was responsible for almost half of company’s revenues and most of their growth last year. HungerStation is Delivery Hero’s biggest brand in Saudi. There had been issues between Delivery Hero & HungerStation’s management but the reasons for terminations remain unknown. 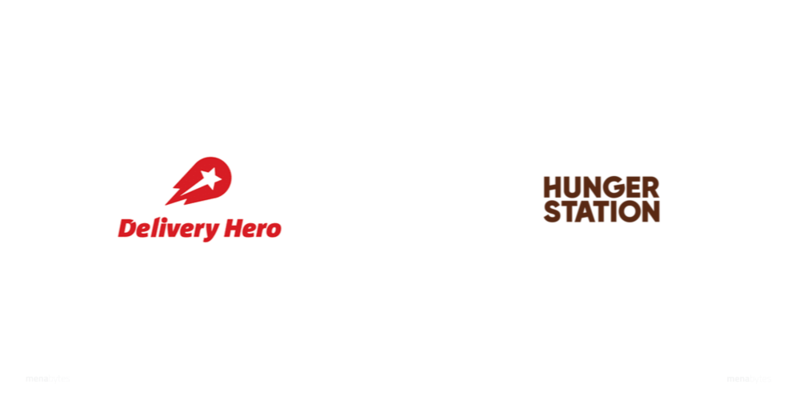 Two of our sources have told us that Delivery Hero claims that HungerStation’s resources were used to build three other startups in grocery delivery, on-demand delivery, and last-mile delivery space. Another email by Nikolas to HungerStation’s staff that was also sent yesterday, has a reference to these startups. The last-mile delivery startup that has built a fleet of freelancer drivers is also used by HungerStation for delivering food. “We would like to make clear that as of now we’re still investigating the on-demand delivery application and last-mile delivery [names redacted by MENAbytes] applications. We believe these may have been developed as part of HungerStation but still need to understand the details further. In the meantime, please do not continue the development on those apps until further notice. The only exception is that we have to ensure last-mile delivery startup [name redacted by MENAbytes] works for the continued operation of the business,” said Niklas in the email. Niklas, in this email, also announced the appointment of Yousif Abdulaziz as Interim Advisor to Shabeb AlOtaibi and Abdulkarim Al-Omair as Interim Deputy CEO. Yousif has been with Delivery Hero-owned Kuwaiti food delivery startup Carriage since late 2016 and was recently promoted as CEO after departure of Carriage’s co-founder Abdullah Al-Mutawwa from the company. He will resign from his role in Carriage to join HungerStation, said the email. A big number of HungerStation’s employees are in shock after learning about the terminations. We’ve also learned that some other executives of the company have resigned in protest or planning to resign have not been able to confirm this. Many employees also fair layoffs and are afraid that Delivery Hero could merge HungerStation and Carriage in Saudi. We’ve reached out to Delivery Hero and other parties involved for a comment and will update the story if we hear from them.